What is hematuria in children? What does blood in the urine of a child mean? Hematuria refers to a condition of presence of red blood cells in the urine. Generally, red blood cells are not present in urine because the filters in the kidney prevent blood from entering the urine. In hematuria, the filters or other parts of the urinary tract may be responsible for leaking blood into the urine. The amount of red blood cells is abnormal in the urine. But the amount is not large enough to see with the naked eye. This is called microscopic hematuria. The blood in urine can only be detected with a microscope. If the child is healthy, microscopic hematuria needs to be investigated only if it is present in minimum 3-4 urine tests over several months. 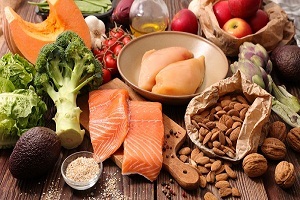 But in case of a child who has high blood pressure, chronic kidney disease or protein in the urine, hematuria should be investigated immediately. Enough number of blood cells is present in the urine to change the color of the urine from yellow to pink, red or brown. Usually, one milliliter of blood can make the urine appear red. Gross hematuria should be investigated at the first sight of blood in urine. What are the symptoms of hematuria in children? If hematuria occurs because of urinary tract infection, the child may complain of more frequent urinary or burning sensation while urinating. If the cause is urinary stones, the child may complain of pain (which arise from the passage of the stone). What causes hematuria in children? There are many different causes of hematuria in children. Some of them involve urinary tract while some do not. 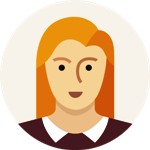 How is hematuria in children diagnosed? Under a microscope, the urine of the child is checked for red blood cells, white blood cells, bacteria, protein, and clumps of damaged cells. Blood tests are done to check kidney function, along with tests for Glomerulonephritis. Urine culture is done to check for bacterial growth. This test can find and identify the germs that cause a urinary tract infection (UTI). 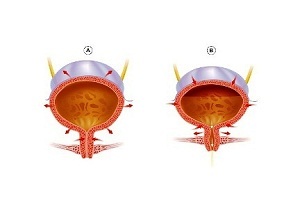 It is an examination in which a scope is inserted through the urethra to examine the bladder and urinary tract. 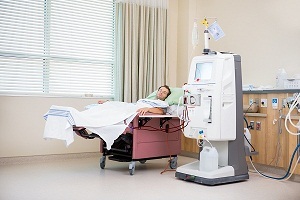 A renal ultrasound is a safe and painless test. This test uses sound waves to make images of the ureters, kidneys, and bladder. 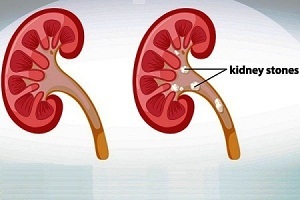 It is a kind of special x-ray of the kidneys, ureters and bladder that shows how well the kidneys drain urine. Renal biopsy is done in rare cases only. This examination involves removal of a small sample of kidney tissue through a needle and the sample is examined in the lab. How is hematuria in children treated? A child's pediatric urologist determines the appropriate treatment for the child based on the underlying cause of the hematuria. If no cause is found, the child is closely monitored because sometimes blood in the urine goes away on its own. 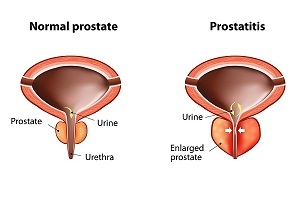 Hematuria caused by urinary stones is treated by removing the stones. 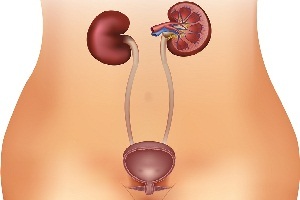 Hematuria caused by urinary tract infections is treated with antibiotic therapy. 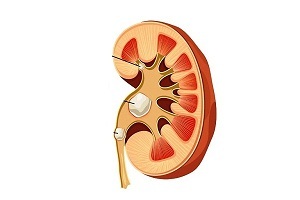 Hematuria caused by very large kidney stones is treated with high-energy laser therapy. What are the complications of hematuria in children? Is it dangerous to have blood in urine? Children with hematuria may suffer from followings conditions. Some of them may not be too worrying, but sometimes the complications could be serious and dangerous. Blood in urine may not always be a cause to worry, but you should contact your doctor without delay if you see traces of blood in the urine or experience any other symptoms. Blood in Urine (Hematuria):. . . .
What is Microscopic Hematuria. . . .
What is Microscopic Hematuria (Microscopic Blood in Urine)? What is microscopic hematuria (microscopic blood in urine)? Microscopic means that something is so tiny that it cannot be seen with a naked eye. You can see it only. . . .
What Causes Urinary Incontinence? People suffering from urinary incontinence experience leakage of urine. The leakage can be occasional (minor leakage) or more frequent (small to moderate amount of urine).. . . .